Orban’s government recently introduced a bill in parliament to tighten restrictions on NGOs, dubbed the“Stop Soros” Law. Speaking to his right wing Fidesz Party, the Prime Minister accused Soros of promoting Muslim immigration to dilute Hungary’s Christian identity and“sweep away governments which represent national interests.”These are the very tactics he is employing to destroy the United States. George Soros, who has been a financial supporter for NPR, states its mission is“to build vibrant and tolerant societies whose governments are accountable and open to the participation of all people,”according to its website.“We seek to strengthen the rule of law; respect for human rights, minorities, and a diversity of opinions; democratically elected governments; and a civil society that keeps government power in check.”How’s that again?...And remember, this is George Soros speaking, the beast who sold out his own people to make his first fortune, using that fortune to sabotage currency in other countries bringing ruin while his fortune continued to grow. 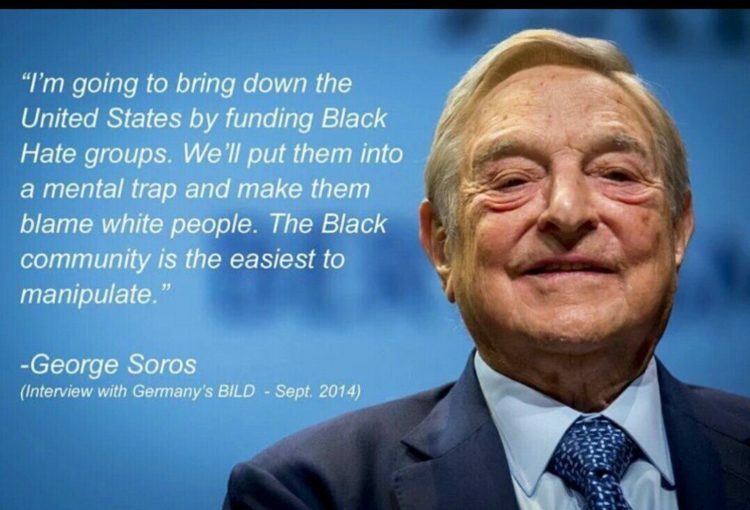 Soros is a committed Communist who intent to put every country under dictatorship. He has caused irreparabledamage to several countries who would like to get their hands on him. Russia has an international warrant for his arrest. Editor comment; again, it needs to stated …at the end of WWII, the International Red Cross went into the so-called concentration camps to investigate the books and records of all that were supposedly killed in the camps. Their investigation along with German records …which ultimately proved that only 280,000 died in the camps and that the infamous “Holocaust” was in part a total fraud. Also, sometime in the 80’s (? ), (as my notes are in storage), a young Jewish man went to one of the so-called ‘gas chambers’, to obtain sample scrapings inside the ovens to test for the residue of the so-called ‘Zyclon gas’ that was presumed to have been used to gas the jews. The concluding evidence from the testing of the sample scrapings was no such gas was used in those cambers. Also, the Jews are not directly from Shem, but their lineage is of Eliphaz and are a mix of Edomites, Canaanites and Khazars, being 90% Ashkenazim Khazars. Therefore the phrase “Anti-semitic” is misapplied and meaningless.